After being out at a course yesterday (previous post) and having a house full of teenagers killing zombies for the rest of the day, today was a bit of a catch up. OK, ill admit it. After playing in the garden this morning and reading the paper with one of Tom's Cappuccinos the only catching up i did was getting some ZZZZZ's this afternoon. I think they politely call it a "Nana Nap" but a little lay down turned into a 4 hr sleep. Thank you boys for not disturbing me. Tom wanted to spend his birthday money as it was burning a hole in his pocket. So I took him the local plaza to shop while i went in search of a treat for dinner. 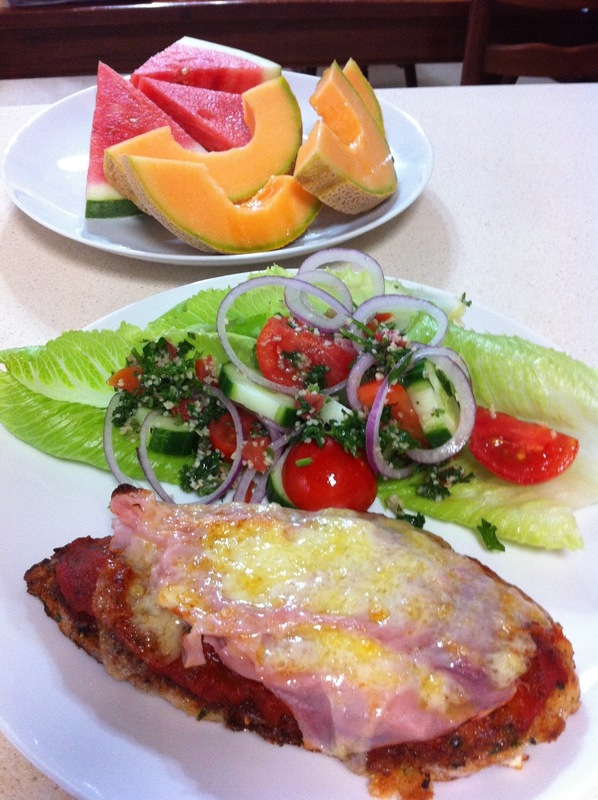 Lucky for me, double chicken breasts were on special so I thought that Chicken Parmigiana might be a winner. This is a pretty common dish here in Oz and nearly every pub and bistro will have not one but several versions (some have up to 100 but that just seems ridiculous - at what point is it something else)? There are local, state and national competitions to decide which one is the best but in the end it all comes down to personal preference. Mine changes depending on what herbs i have but since i now have a garden extraordinaire, I'm spoilt for choice. So what did i mean by "No Pot". You'll be glad to know that its not about consuming mind altering drugs along with your chicken. There are enough of those consumed in this house already. In Victoria, a 285ml/10oz glass of beer is called a Pot. In other states it might be called a Middy or half pint or 10 oz. As a marketing tool is common to advertise a "Parma and Pot" for a special price in order to attract customers to dine on a cheap meal and then reap profits from poker machines or just more overpriced drinks. We don't have alcohol in this house but have nothing against it and if you want one with your Parma then go right ahead. Have you also noted that as with all things in Australia its name has been shortened. We are a pretty relaxed (or lazy) bunch here and why say the whole word when you can cut it in half. 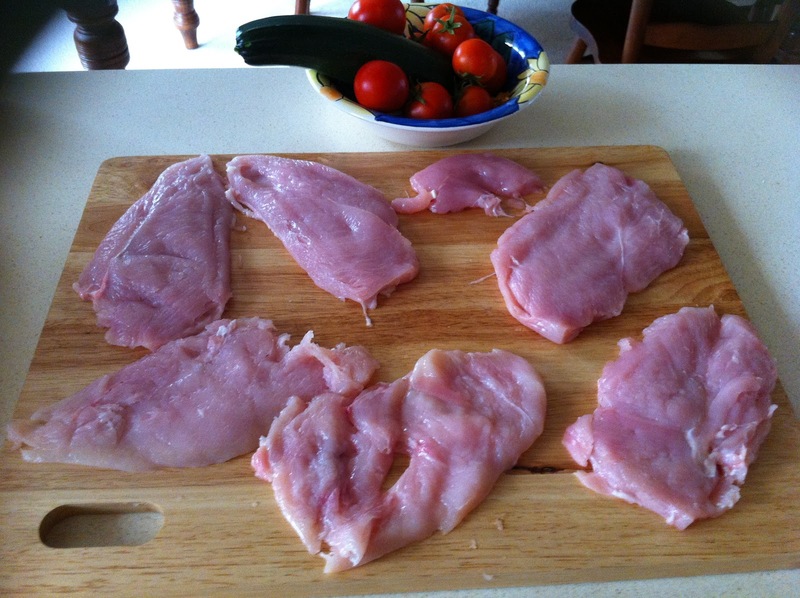 First I split each breast into two portions by halving length ways. I then put between two pieces of cling wrap and gently bashed them with a rolling pin to make them a little thinner. 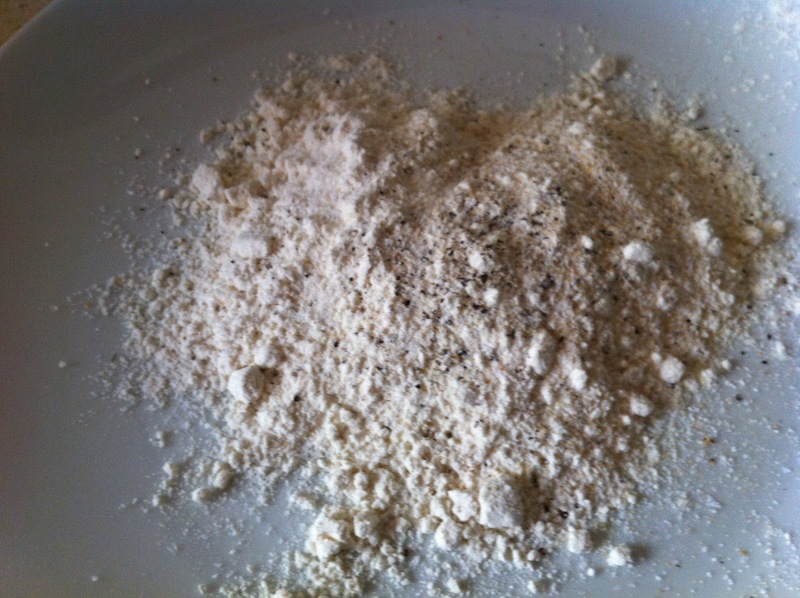 Season some plain flour with ground pepper and garlic salt. 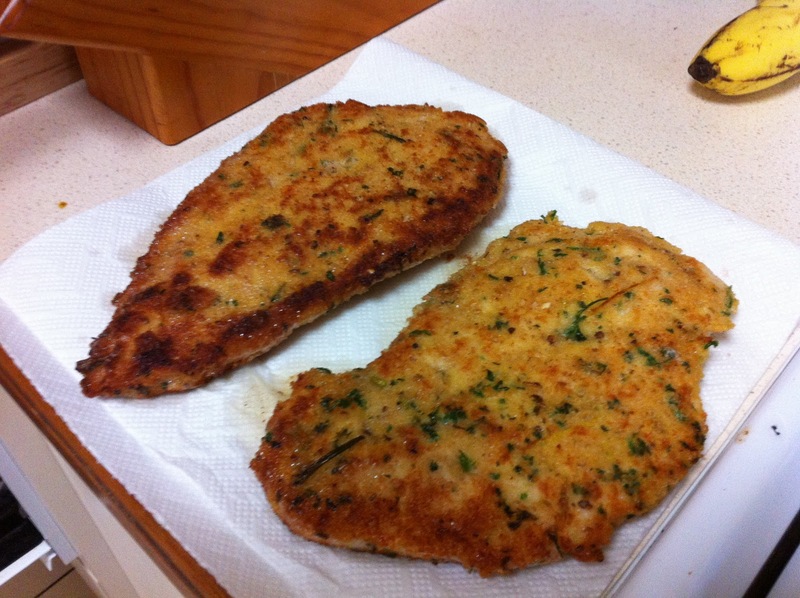 Proceed to coat each piece of chicken thoroughly or the egg and crumb wont stick. The next step is to prepare the bread crumb mix. I would like to use my own bread crumbs some time in the future as you get a much crispier texture but I'm waiting for the kitchen gods to bring me a processor. 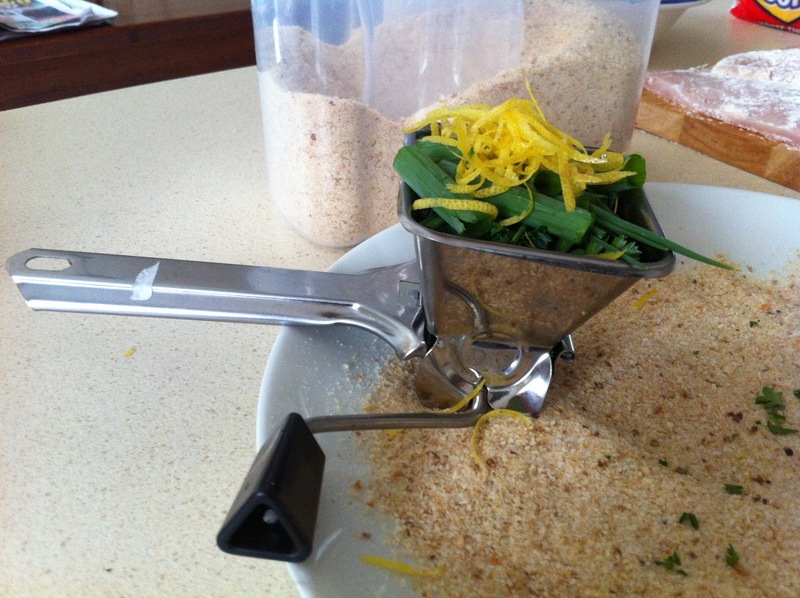 Inside this little herb cutter is fresh parsley, garlic chives, spring onion and lemon zest. Once grated add a tablespoon of grated Parmesan cheese. 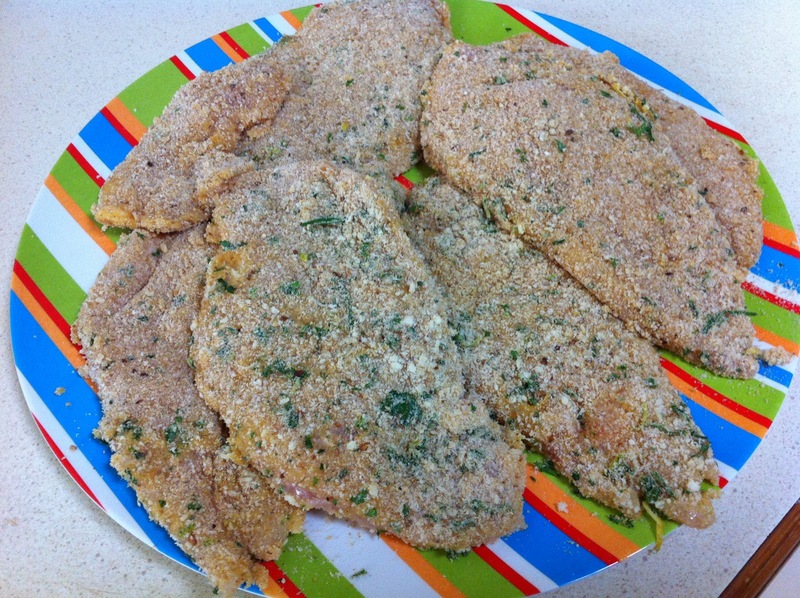 Mix crumbs together and proceed to egg wash each chicken piece and coat thoroughly in crumbs. I find at this stage it all stays together if it rests in the fridge for 30 minutes to set the crumb. I gently fry the chicken in melted butter with a dash of oil to stop it burning. Don't overcook it as it will cook again in the next step. Rest it on paper towel to drain any excess butter/oil off. Id be quite happy to leave it at this stage but both Hubby and Tom like the full deal. 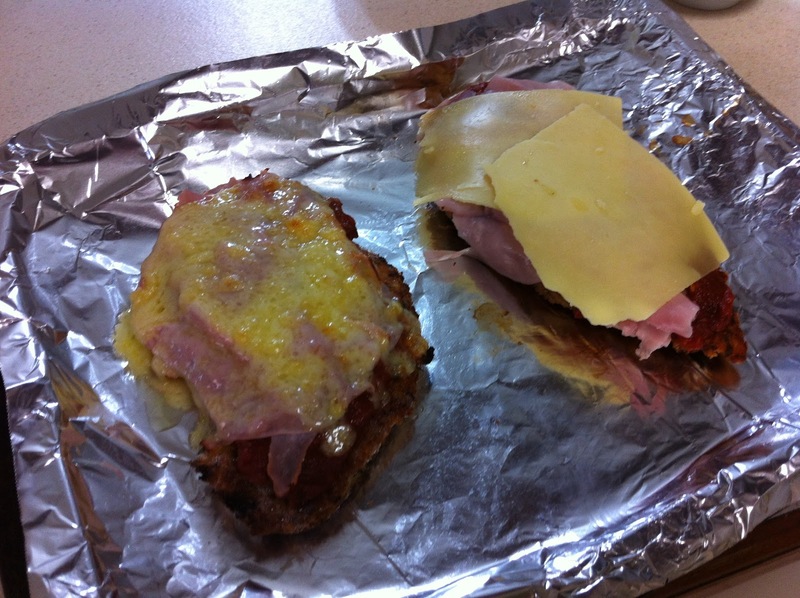 The one on the right has thick herbed tomato paste spread thickly on top of the chicken and then sliced ham and tasty or mozzarella cheese on top. The one on the left has been grilled and you can see it in all it glory with all its many calories and therefore it must taste good. Its a rule that if you have something bad it must be followed or accompanied with something good. 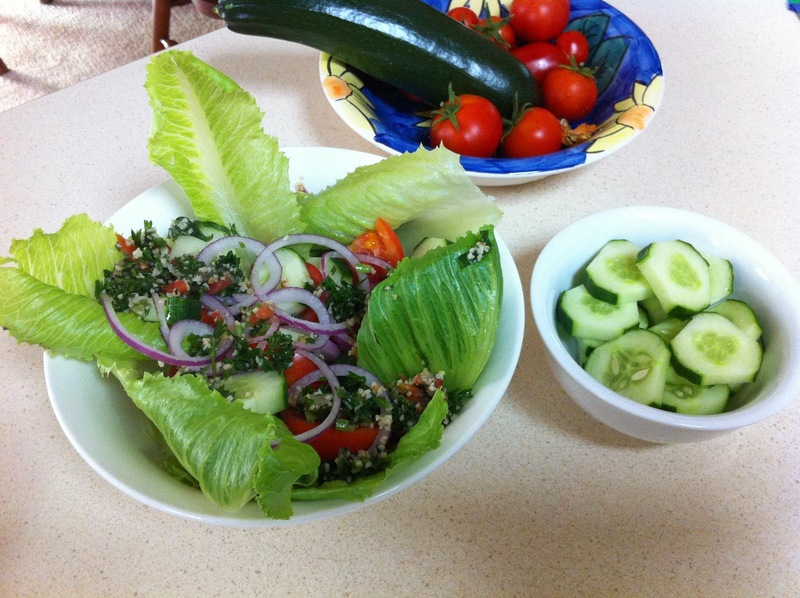 A nice fresh green salad with tabbouleh should do the job. So that's it for Sunday nights meal. Not too fancy but certainly yummy. 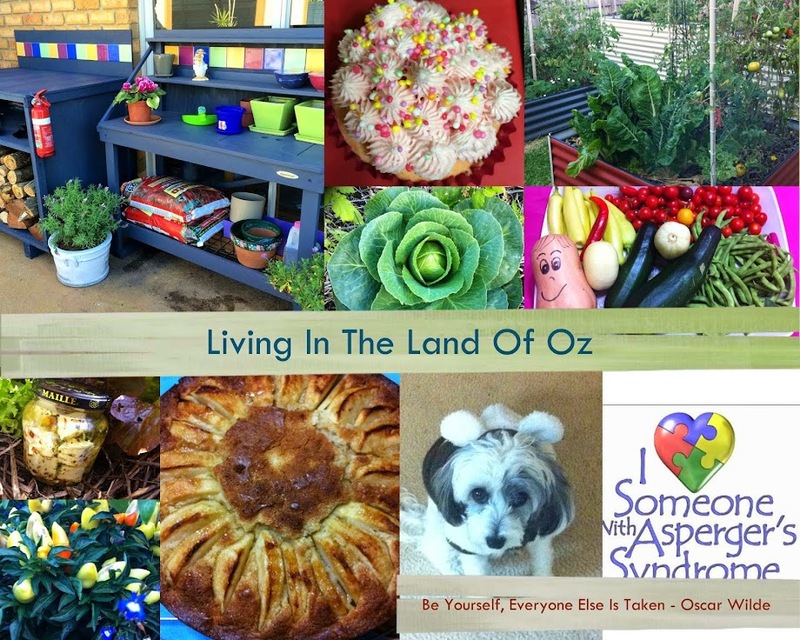 Enjoying your blog and will share the link with friends also dealing with Asperger's.